How to Develop a Food Delivery Marketplace and Make It Prosper? Recent study finds that around 44 percent of consumers in the US use food delivery services at least once per month. Great time for online food startups to flourish, isn’t it? And that’s exactly what UberEats, Foodpanda, GrubHub, and other food delivery platforms do. But building a food marketplace is not that easy. Its development takes a lot of time, finances, and you won’t fit all required features in a single app. There’s rather one app for users, another for couriers, and admin panel for restaurants. Each having its own features and complexities. In our article, we’re discussing all the ropes of building a food delivery marketplace and promoting it. 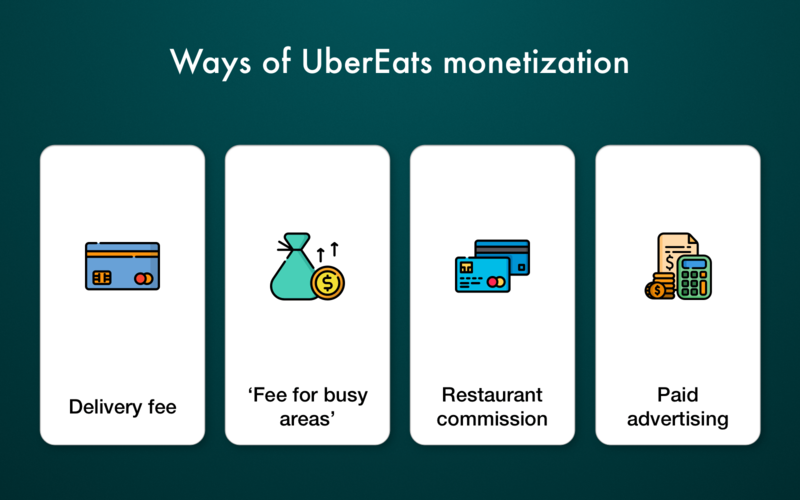 So if you want to find out more about UberEats-like app features, tech side, marketing, and development cost – keep reading. There are two main food delivery startup models taking a big share of the current market. Let’s take a more detailed look at both. Food ordering apps act as an aggregator offering nearby eateries to its users. They connect customers with a wide network of food venues and simplify their interactions. The system constantly gathers information about restaurants, and users can access this data after registration. Using food ordering apps, customers can easily check menus and look through restaurants’ rates and reviews. This model helps restaurants to expand their market while customers simply look for a good place to order food from. Although these platforms do not offer delivery services (restaurants have to use their own couriers), they gain profit by charging up to 15% commission to restaurants. 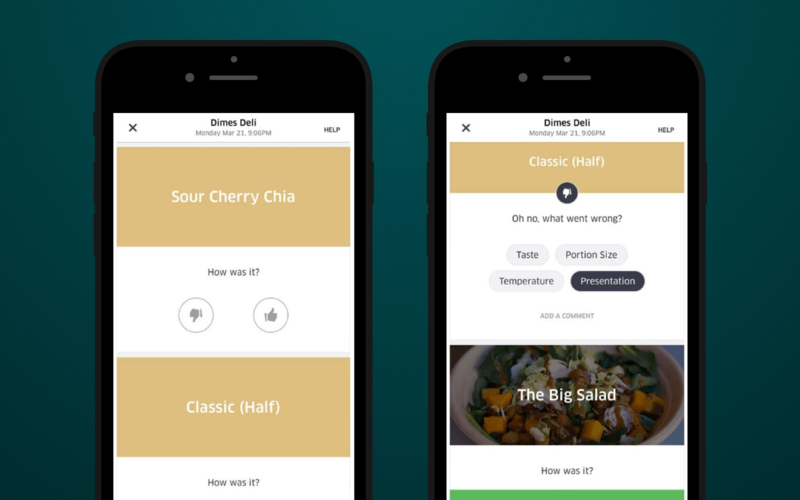 Users choose food and place an order. The payment is authorized within the system. A restaurant receives the order and starts preparations. The food is handed to the restaurant's courier. The courier brings food to the customer, payment is deducted. The biggest challenge for such startups is building a wide network of nearby food venues. App owners should look for all possible partners, including small eateries. This is done to attract as many users as possible to a particular food marketplace. All these platforms are well-designed and have different filters (by dish, location, price, etc.) to help users find the best eatery. Still, they remain limited in options and income sources. Food delivery model differs from restaurant aggregators as it provides full logistics support. These services are a great asset for startups, small restaurants, and other minor venues in the food industry. As new entrants often don’t have enough resources to establish their own delivery, they turn to companies providing such services for a fee. With a food delivery platform restaurants no longer need to worry about delivery management – no personnel, vehicles, fare cost, and so on. Users place an order, payment gets authorized. Eatery receives the order and starts food preparation. The platform arranges delivery by providing their own couriers. When the order is ready, the eatery notifies a courier. The courier picks the food up and completes the delivery. When the customer confirms the delivery, payment is deducted. These platforms charge restaurants up to 30% of total order price. In addition, customers also pay a delivery fee (fixed or depending on the distance). 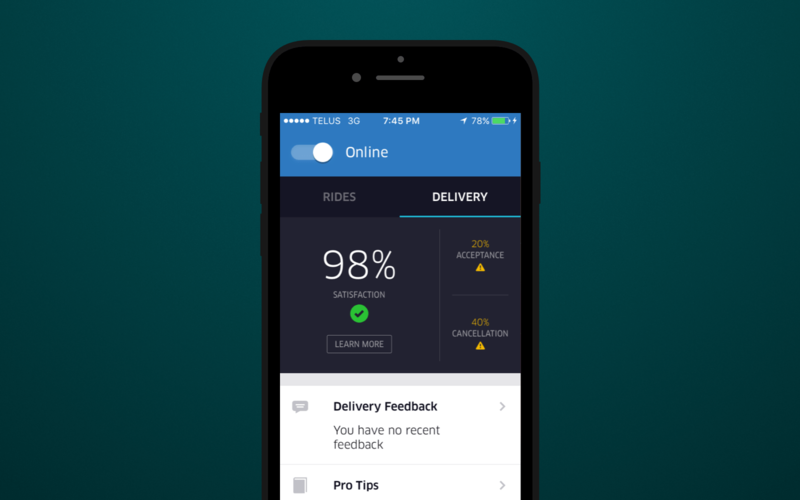 In this article, we’re covering Uber-like apps and thus order&delivery model. So let’s find out how these platforms earn money. UberEats delivery rates currently depend on distance (previously the company charged a fixed $4.99 fee in the USA). It’s a great resource of stable income, still, the company doesn’t stop on a single approach. If there are more orders in a certain area than available couriers, Uber charges so-called ‘fee for busy areas’. 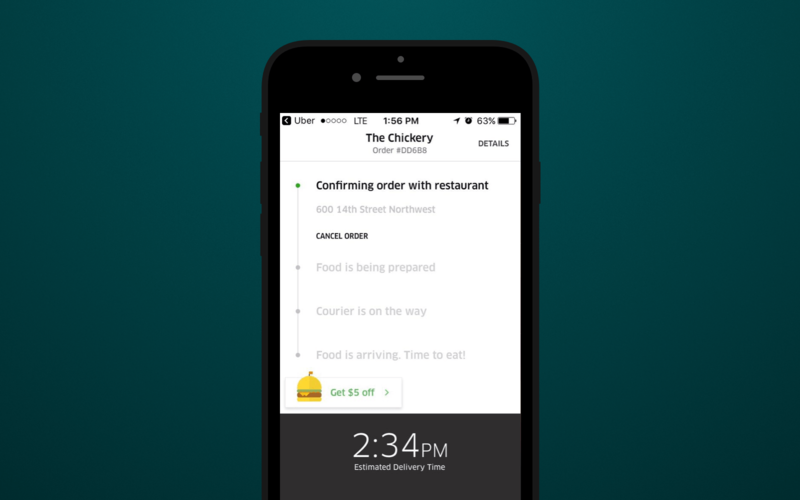 This fee ensures that customers will get food in time even if all delivery partners are busy. As mentioned, UberEats also charges restaurants 30% commission. So if a customer has paid $50 for their order, the restaurant will only get $35 (Stripe fee not included). 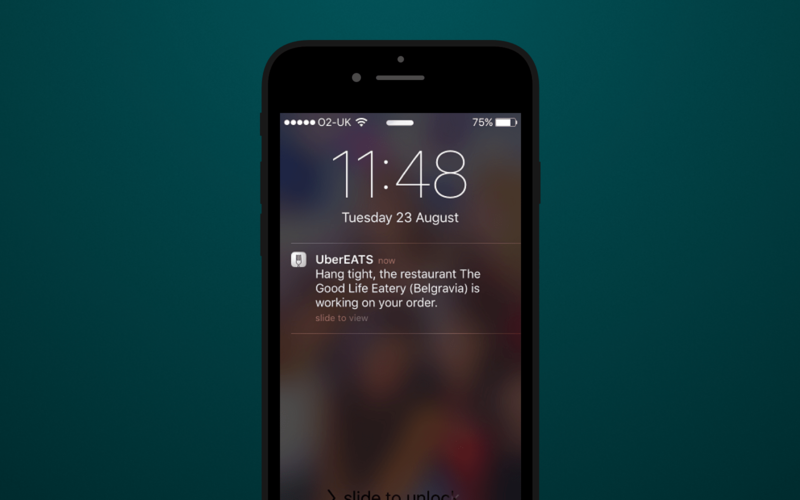 Finally, UberEats gives restaurants a chance to promote their services through paid advertising. 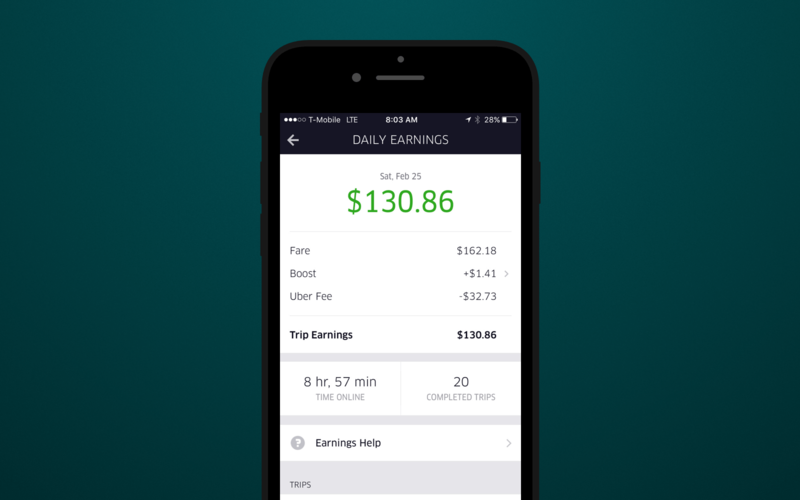 In simple terms, UberEats offers to feature venues on the top of the list for an additional fee. As you can see, both models have their benefits. Although the food delivery platform is a way more profitable, it’s also more expensive to launch. So if you’re new to developing food delivery websites, it may be better to start with the order-only system. As soon as your business grows, you can easily transform it into an order & delivery platform. 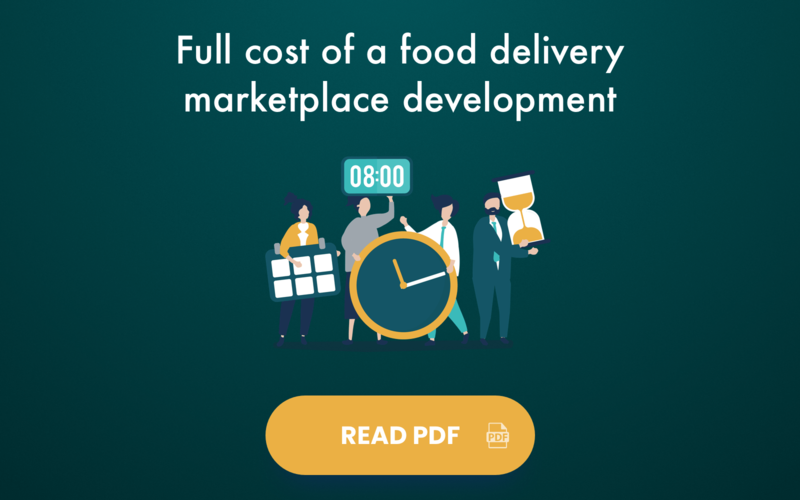 What to Consider Prior to Food Marketplace Development? If you want to develop a food marketplace, building a single app is not enough. For instance, UberEats consists of Customer App for clients, Delivery App for couriers and Admin Panel for restaurants. Still, prior to contacting a company that provides web development services or works with mobile platforms, make sure to define the features you need. We’ve listed the most important features your app should have, starting with customer application. Users get acquainted with the app directly from the sign-up page. That’s why the registration process should be fast and easy, asking for minimum details. Most apps use email, password, and phone number combinations or integrate the platform with Google or Facebook. After the registration, customers should be able to customize their profiles by adding photos, preferences, entering and saving payment details, and delivery address. Or they may like to choose default profile settings which should be applied automatically with each new login. Finally, not only registering but logging in through Facebook or Twitter instead of entering email/phone+password is much simpler for the users. After profile setup, users get access to the data and require a configured search option to navigate. Customers search where to order food using restaurant’s or cafe’s name, location or menu for their convenience. In addition, search fields usually include various filters to simplify the process and let users sort options by choosing price ranges, cuisines, or even ingredients. When it comes to making an order, the process should be clear and easy. Otherwise, you risk losing customers before getting any income. Users should be able to add a dish to their carts in one-two clicks, as well as edit or remove it. Then goes the summary including important details about the order that should be confirmed before making a payment. And consider adding a range of delivery services – customers can probably pick the order up by themselves, no couriers needed. We’re done with picking dishes and delivery methods, so it’s payment time. The main points to take care of on this stage are speed, security, and convenience. Mind integrating a few payments gateways like a credit card, PayPal and Stripe. Start with offering 2-3 payment methods and when your business expands you can always add more if needed. Looking for secure payment systems? Check our comparison of PayPal vs Stripe vs Braintree. In case users have previously added payment details to their profiles, let them choose this option during check-out to simply the process. The payment is complete and we have hungry people waiting for their food. That’s when the tracking feature becomes more than handy as can easily find out when the order will reach them. Courier’s tracking is done by using Location API provided by Google (Android) or CoreLocation framework (iOS). Both determine couriers’ current location to let the app display an approximate delivery time. Busy customers don’t have time to track the process. That’s why notifying users about order’s status (Placed, In Progress, On Its Way, Delivered) via push notifications or SMS works perfectly. Just make sure that you send only important notices. The food has finally reached the customer, and they may want to share their great experience. The best way to do that is giving the highest rating or writing a review. Engage users by offering them to evaluate their experience – delivery services, waiting time, and the dish itself. Review section will surely let you and restaurant owners know if there are some issues with the personnel and food quality. The features I’ve listed above are required for a food delivery marketplace. Still, to enhance UX, you may think of applying additional options to make your app stand out. When customers need to get something to eat quickly and don’t have time for searching, they’re likely to check bookmarks or wishlist. Using this feature, customers can mark dishes they want to try or add best food places to order from. A list of previous orders is another feature working on great user experience. By checking the order history, customers can easily find the names of dishes they liked the most and order them once again. It works great for user experience. Now people can plan their time and keep pace with modern life. And you are offering relief from waiting and guessing how soon the food will arrive right from the start. It’s simple yet extremely effective to offer rewards. For instance, start with offering free delivery services or a drink for big orders. Apply membership or cumulative discounts, or special promo codes to customers to boost their loyalty. Allowing users to link their social network accounts works for both consumer loyalty and the company’s promoting. After all, which company doesn’t want to have their own hashtag on Instagram or Twitter? It’s high time to move to delivery guys. Here I’ve mentioned the most important features that cover the needs of personnel and business owners. Same way as customers, delivery personnel should have their own profiles for identification. Once the profile is created, couriers get access to the system’s database and can track recent orders. As soon as the couriers have registered in the system, they can access all relevant information including the list of nearest orders. To start accepting offers, couriers should toggle ‘go online’ button. Also, delivery personnel should be able to accept or decline customers’ requests. For customers’ convenience, delivery personnel should update their statuses along the way. In this case, clients will remain aware of order processing and estimate the waiting time. Once the delivery is complete, the customer should confirm it via the platform. The payment is then deducted from customers’ account or handed out to the delivery partner. Making notes and reviewing the list of delivered orders is useful for couriers. This way they can leave a note next to difficult delivery places or routes. In addition to delivery history, couriers should be able to check their daily and monthly earnings. The app should also display the current balance, recent transactions, promotions, and cashing out possibilities. The goal of an admin panel is to transfer order information from the customer to the restaurant staff. Then restaurants process orders in their way and pass the dish to the couriers. They may work with internal delivery services provided by the app or use their own delivery personnel. Works the same way as with customers and couriers. However, the restaurants should also be able to add all business’ details to their profiles. It can be their name, location, menus, and more. Restaurant’s admin panel mainly focuses on attracting clients and promoting the eatery. Thus, it’s important to let restaurant staff add or update details about the dining place, including its name, address, working hours, etc. After that comes the menu management. Staff should be able to add names and description of dishes, edit or remove positions, update prices. Finally, don’t forget about adding photos as it’s a great tool for user attraction. In order to manage the process efficiently, the staff should track incoming orders and update their statuses. Real-time updates on the preparation process, order cancellation or completion and delivery status are also must-haves. Here comes the best part of any business – when the venue receives the money. The payment should be released to the restaurant as soon as the client confirms successful food delivery. As mentioned, food marketplaces consist of three apps, and in order for the whole system to work, they should show only up-to-date information. Thus, an arrangement of data exchange between apps and the server is vital for the whole service. 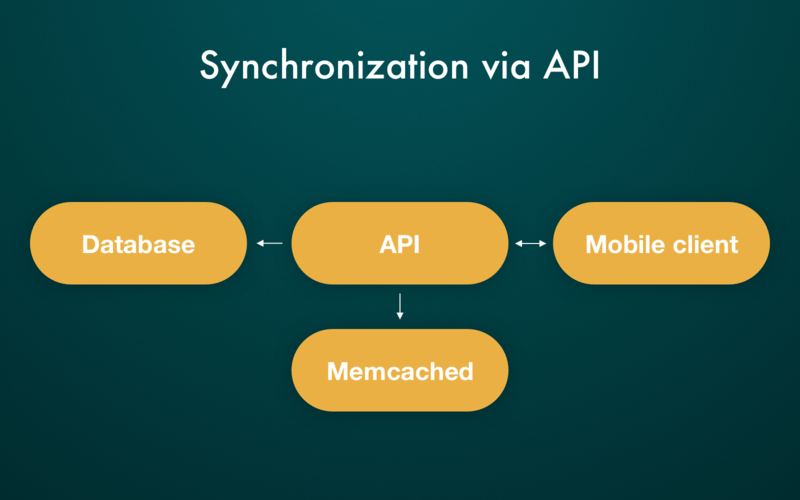 In order to synchronize data developers apply client-server architecture using API for data exchange. When a user places a request, the client first reaches API which defines their profile type (super admin, restaurant, courier or customer) and only then goes to the database to return relevant information. Although data is usually ‘pulled’ from a database via API request, in some cases information get cached and thus can be accessed through the client even when there’s no Internet connection. It’s true that your product should be swift, secure and reliable. But even if the mobile development was done perfectly, no one can guarantee app’s success. That’s why you should understand who you build the app for and what users are really lacking in existing services to motivate them to start using yours. We’ve defined three categories of people that use food delivery apps pretty often and mentioned a few ways of attracting them. Busy executives with days full of meetings, conferences, and other time-consuming agendas who don’t have time for eating out. Moreover, they often cannot find a few minutes to wait in line when ordering food to-go. People who barely have time to actually eat will depend on your app to take care of everything else. So adding business lunches from nearby cafes or restaurants with delivery to the office will surely help you reach these customers. Watching after kids and preparing food is time-consuming even for non-working parents. And what happens when their time is cut off by 8 working hours? Many families handle this situation by eating out or ordering food at least 2-3 times per week. Engage this audience by offering family-style lunches and dinners for a group of people. By the way, premium accounts or cumulative discounts will also work for obtaining their loyalty. Most 20- and 30-year-olds use modern technologies on an everyday basis. Also, students and working professionals have little time for cooking. That’s why they were the first to take advantage of Swiggy, FoodPanda, UberEats, and other food marketplaces. Attract this audience with premium features, vegetarian and gluten-free dishes. Add a pinch of high techs like new delivery channels or social networks integration, and that’s it. The key to a product’s success lies in a unique proposition, especially when the market is saturated. So make sure your idea is different and it, instead of other services, does solve customers’ key issue. Imagine months of hard work spent on building your service, and then UberEats or FoodPanda add one single feature to their apps and take you out. In addition, don’t forget to look at your competitors. Discover their weak points and adjust your product to avoid them. Mind that in order to create a value proposition, you should understand the pains of target audience and your future business partners (restaurants, cafes, etc). Only by meeting their needs you can beat your competitors and motivate eateries to cooperate. How to deliver a first-class user app? First, your app should have great UI/UX, be simple, swift and user-friendly. And don’t forget about its functionality. OrderTalk research shows that 28% of app users quit if the app is not working properly, and that’s something you cannot afford. Check our ‘6 Quick UX Design Techniques That Really Work’ guide for more tips on user engagement. Second, if you’re going to offer delivery services, make sure the personnel know how Google Maps work and have some driving means. Your customers are busy people that can’t afford hours of waiting. By the way, no one likes cold pizza, right? Finally, make sure to set an affordable delivery fee or you risk losing a big share of the market. People won’t pay more for the delivery than for actual food. 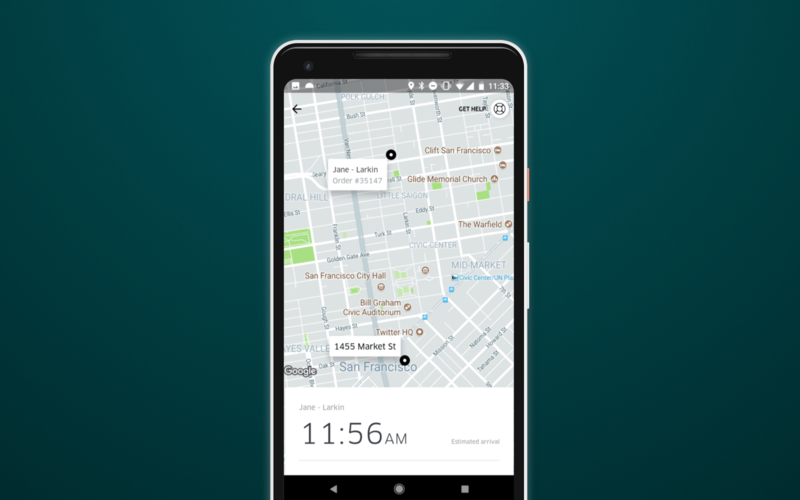 Uber solves this by replacing their $4.99 fee with $2 to $8 pay based on the distance. What issues users struggle with? What’s for the business partners? Your app’s simplicity plus no useless features. And don’t forget about close to perfect the performance. It may be worth hiring a QA engineer to make sure everything runs properly. Restaurants and cafes’ staff are quite busy with serving their own clients, so they need your system to be swift and efficient. Incorrect order statuses, delivery issues, bugs, weak synchronization and inability to customize the order may result in your partner’s refusal to continue working with you. Remember that venues are working directly with couriers, so make sure the workflow is established. Think of delivering some verification means so that chefs would know they’re handing food out to the right person. And the final point is providing well-qualified support. If something goes wrong with the system or delivery personnel, your partners should be able to reach you immediately. As well as remain assured that your staff takes care of their issue. More attractive design means more user engagement, higher conversions, and more revenue. Plus, great design is what all the users expect. Recent research shows that 26.2% of visitors are likely to leave the website if its design looks unprofessional. People won’t use a poorly designed platform on a daily basis when there’s plenty of other options. Want more about app designing cost? Check our ‘How Much Does It Cost to Design an App’ guide. So check if the app looks pleasant, has readable fonts, carefully selected colors and contains up-to-date information. Remember that minimalistic apps are still trendy. So make sure you’re ordering UI/UX services from professional designers. Now is the time to dive into more technical aspects of food marketplace development. Based on our experience with food delivery apps, we've singled out an approximate tech stack for this kind of project. Please keep in mind that the aforementioned list of technologies is not final. It differs from app to app according to business objectives, features, platforms and so on. Please note that food marketplaces often include a fully-fletched web application which was not added to the estimation. Haven't found answers to your questions or need a free custom-made estimate of your food delivery platform? Fill in this short contact form and our managers will contact you back as soon as possible. Still not sure? Here are several ways how we save our clients money by reducing the overall development time. 1. Documentation. We have a workflow template for both web and mobile development. All the points are already added to the specification, and we only adjust them to each new project. 2. Front-end. We use Inspinia to provide a prepared template of the admin panel, so there’s no need to spend time on its designing. 3. Back-end. We have a ready-made architecture framework for web development. 4. Mobile applications. Our engineering team has created a starter project with a common authorization approach with developed architecture. Want to hear more from us? Subscribe to our blog! Just enter your email address into the ‘Subscribe’ box on the right and you won’t miss any of our updates.